Ushering in a new golden era for the flute as solo instrument, Jean-Pierre Rampal secured his place in the classical music firmament as the greatest flautist of the modern era. Over 25 years (1954-1982), the French virtuoso’s fruitful collaboration with Erato grew into a truly exceptional achievement in recording history: an encyclopedia of flute music in vital performances that have remained the benchmark for generations. 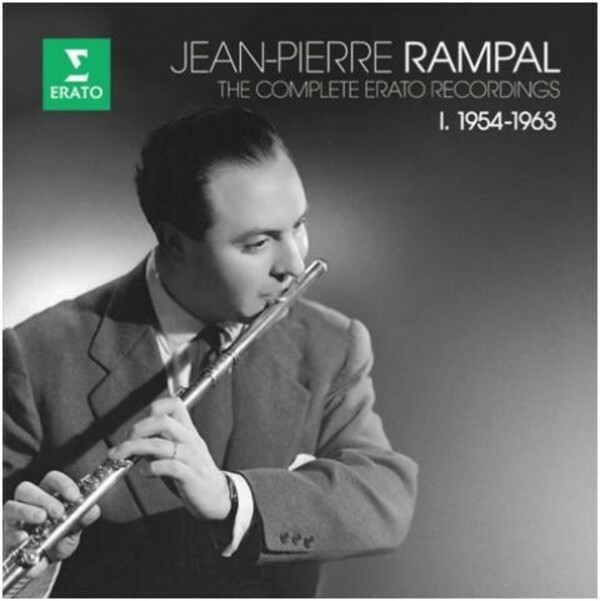 Jean-Pierre Rampal became the first exponent of the solo flute in modern times to establish it on the international concert circuit, and to attract acclaim and large audiences comparable to those enjoyed by celebrity singers, pianists, and violinists. His playing style was characterised by an exceptionally beautiful sound and a phenomenal virtuosity, but above all a magnificent intuition and sense of expression. Highly refined musicality, impeccable taste, elegance of phrasing, subtlety of tone colours, stunning sense of communication, irresistible presence and spirituality... all extraordinary qualities which marked generations and generations of music lovers and musicians. Rampal is also well known for recovering a vast number of flute compositions from the Baroque era – with Erato team complicity, and spurring contemporary composers, such as Francis Poulenc, to create new works that have become modern standards in the flautist's repertoire. His flair and presence paved the way for the next generation of flautist superstars such as James Galway and Emmanuel Pahud.